So it seems as though I took an unplanned break from my blog the last month. The days are getting super short and I'm finding little to no time during daylight to bake and photograph this winter. Last Sunday I also became a doggie mom and my little Pembroke Corgi Turkleton has been keeping me very busy. I baked up some lovely biscotti last week so today that is what i'll be sharing with you! This is a fantastic biscotti recipe from Sallys Baking Addiction. I followed her recipe pretty closely except for adding hazelnuts into the mix. In addition to the vanilla extract, I added a splash of almond for an extra bit of yum. Thanks for visiting and hopefully I'll have some more tasty recipes up for you soon! But first!!! Meet the cutest lil stinker Turkleton. Preheat oven to 300°F (149°C). Measure out almonds and hazelnuts (or nuts of choice) and spread onto large baking sheet in an even layer. Toast for 15 minutes, stirring ever few minutes to ensure even toasting. Remove toasted nuts from oven and turn up 350°F (177°C). Pulse the cooled toasted nuts in a food processor until very coarsely chopped. Set 1 cup aside. Pulse the remaining nuts until they are fine enough to sprinkle onto the chocolate dipped ends later. In a large bowl gently mix together flour, brown sugar, baking powder, cinnamon, and salt. Using a pastry cutter or your fingers, cut in the butter until the mixture is crumbly. 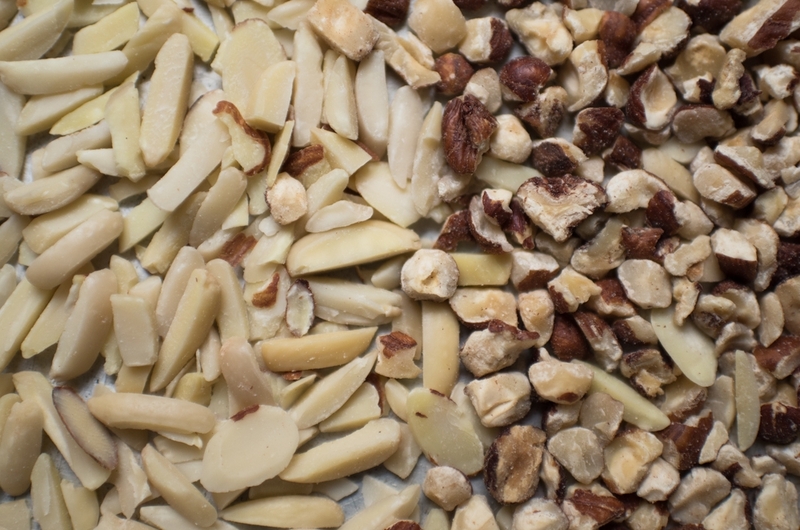 Carefully toss in the cup of coarsely chopped nuts. 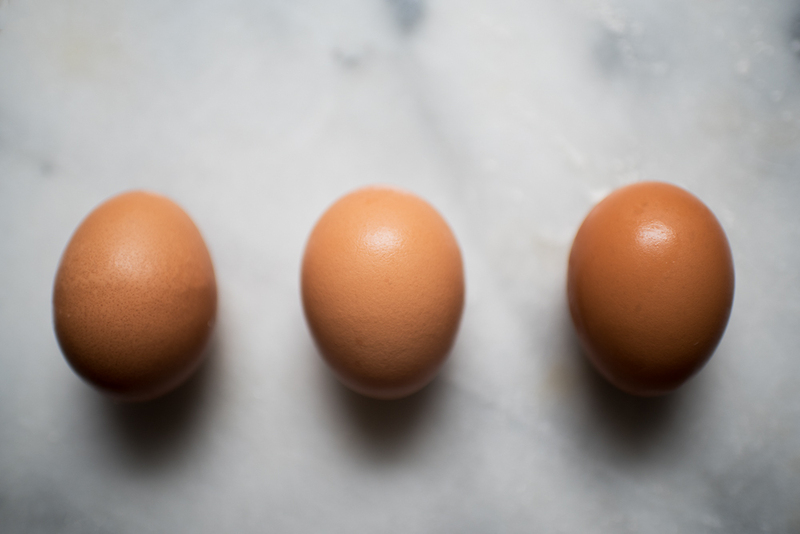 In a separate bowl, whisk together eggs, oil, and both extracts. Add to flour/butter mixture and carefully mix until everything starts to stick together. Do not over mix. It will seem dry but that's okay. 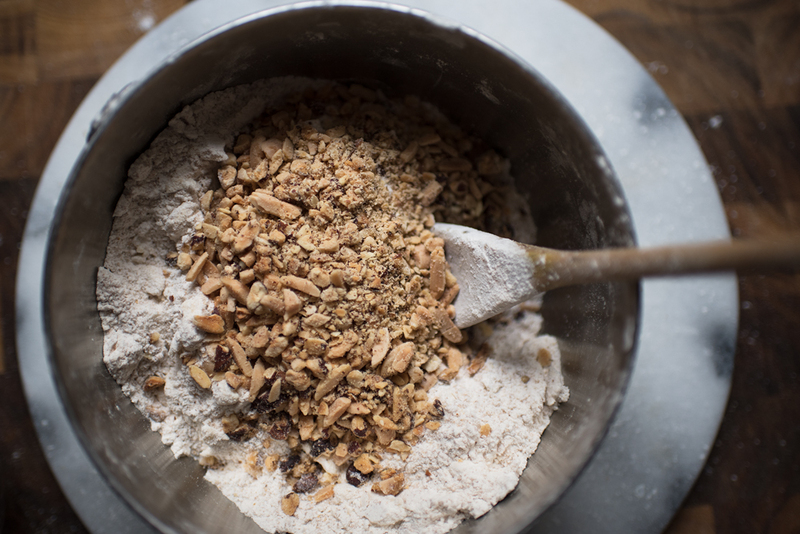 Turn out dough onto a lightly floured surface, flour your hands and knead lightly until the dough is soft and slightly sticky, about 8-10 turns. If it's too sticky to work with, knead 1-2 more tablespoons of flour into the dough. With floury hands, divide your dough in two and place each half onto prepared baking sheet. Shape each half into an 8-9 inch long roll, and gently pat down evenly until each log is about 1/2 inch thick. Using a pastry brush, lightly brush the top and sides of each biscotti log with egg wash.
Bake in batches (or together if you have a big oven) for 25 minutes, or until the top and sides of the biscotti slabs are lightly browned. I made mine a bit small, so they took about 18 minutes. Remove from oven but leave oven at 350°F. Allow to cool for 10 minutes. Once the logs are cool enough to handle, cut each into 1 inch thick slices. Set each slice cut side upright on the baking sheets. They will not expand, so place them as close as you need as long as they aren't touching each other. Return to the oven and bake for about 9 minutes. Turn each biscotti over and bake the other side for 9 more minutes. The biscotti's will be slightly soft in the centers with harder edges. They should be golden brown. If you underbake they won't have that snap. Remove from the oven and allow to cool for 5 minutes on the baking sheet. Transfer to a wire rack to cool completely before dipping ends in chocolate. Melt the chocolate chunks in a double boiler, or create your own by places a glass bowl above a pot of boiling water. The key to melting chocolate is to make sure it doesn't get too hot or it will become clumpy and gross. You want it to melt enough so its smooth and glossy. Dip one end of each biscotti, or an entire side in the melted chocolate and immediately sprinkle, or dip in toasty nut crumbs. Place the dipped biscotti back onto the baking sheets and allow chocolate to set in the refrigerator or at room temperature, about 30-45 minutes.